It's site search produces lots of quasi-relevant results. It is often down for repairs. On top of that, many of its explanations are confusing, out-of-date, not what you're really looking for, and sometimes plain wrong. There are also sometimes discrepancies between information on the SCE website and other SCE information, such as on your bill. In some topics, it is left to the customer to put information together from many sources in order to understand how something really works. Evidence of these problems can be seen on sites such as ConsumerAffairs.com, Yelp, and PissedConsumer.com. This is especially true for solar owners. For example, most pages about solar on sce.com are old: "Guide to Going Solar" 1/9/14, "Solar Power at Home" 4/3/15, and "Ready to Go Solar" 7/24/15. Perhaps this is because SCE is not really a big fan of residential solar, as evidenced by its unsuccessful PUC proposals last year to slash rooftop incentives, charge a new monthly fee for new owners, and cut the rates credited to solar owners for energy they produce. I have worked hard over the past few years to uncover the facts about SCE for solar owners. I thought it would be helpful for prospective as well as for current solar owners to get the benefit of my hard-won knowledge. So here is this section to provide that help. It will be expanded as time goes by, as regulations and policies change, and as more is learned more about SCE's solar policies. Net Metering. Explained as it applies to solar owners, using a TOU rate schedule. 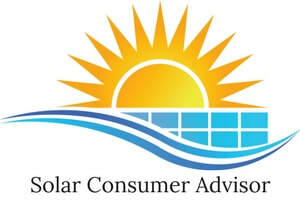 ​SCE Bill Help for Solar Owners. Things neither the bill nor the SCE website tell you. Your Average Bill & Yearly Usage. How to get the figures for the Solar Panel Cost alculator. You now arrive on sce.com on a new Billing and Payments page as soon as you log in. You used to land on the page still called My Accounts, but now you have to access that page from this new Billing and Payments Page. If you ever want to get back to Billing and Payments, it's the left-most item in the top navigation of every page. The rest of the tabs in the top navigation are identical to the items in the left-hand column, so you can use either one interchangeably. But the "View Usage" tab is misleading. It just takes you to the My Account page, from which you can go to the View Usage page. To access anything else on the SCE website, it's best to go back to the former landing page, My Account, by clicking on it in the top navigation. This is the main home page for SCE customers, although it helps to notice that it is not the home page of the SCE website. You can get back to the real home page only by clicking on the SCE logo at the top left corner of any page. The topmost navigation line has nothing likely to be of use. The second line lets you change languages. The third line of navigation is not tied to your account; they are just general information and a Contact Us page. The fourth line of navigation is actually for My Account - specific to you as a customer, although not really of any use. Going from right back to left, Data Sharing and Device Management apply to very few customers. Profile is just your contact information, etc. that you set up when you registered. Billing and Payments is the page you just left. That means you can skip this fourth line of navigation as well. You can ignore the three panels in the center of the page along with the buttons in each panel. The first one, marked Balance Due, just takes you back to Billing and Payments. The other two, Projected Energy Charges and Tracked Charges, are just parts of the Usage tab above. The Services tab in the left-hand column just shows you the basic information about your account and each service (address) you have within that account. The only useful thing about it is that it shows the options you've selected and savings programs you signed up for. Let's skip My Green Button Data for a moment, because it requires some explanation. The Savings Center is mostly just tips on SCE's incentive programs and general energy conservation. The only thing beside tips is on the second page of the Incentive tab. This shows your individual stats for whichever incentive programs you're enrolled in. As noted elsewhere, these aren't likely to be of much benefit to solar owners. We'll get to the Usage tab after explaining My Green Button Data. My Green Button Data is the most useful feature on the SCE website for solar owners. It takes you to the only page on which you can get your detailed kWh drawn and sent back to the grid by hour, for whatever time period you select. Without this information, there's no way to see if you're being charged and credited properly, or to calculate your consumption of electricity. ​You can probably ignore the top section of this page, called Share My Data. It's only for customers who want SCE to forward their usage data to third parties. Start filling out this page at the bottom. Under Select Account to Download, click on the radio button to the left of your account. This usually reloads the page, which is a good idea to do before filling in the other fields. Then, above, on the Download Format line, click the down arrow to drop down your choices. If you want to see the results in your browser, select XML format. If you want to see them in your spreadsheet program (probably Excel), click Comma Separated (csv) format. Finally, on the line above that one, enter the starting and ending dates for the usage you want to see, either by typing the dates or clicking on the little calendars and dates inside. Finally, click the Download button, and go get a snack. Eventually (it could be ten seconds, it could be several minutes, or it could fail altogether), you'll get a popup showing that a file is ready to open or save. If you have popups blocked in your browser, you'll have to use the option that usually comes up to allow either this one popup or all popups from SCE. If you elect to open it, it will appear in your spreadsheet program. (It may also give you the option to open it in other programs, if you drop down the choices.) If you elect to save, it will save it as a file with extension .csv either in your Download folder or wherever you specify. You can then open that file by clicking on it or opening it while you're in Excel, for example. Now this file is a piece of work. To clean it up so you can use it, first delete the first 12 rows. They have nothing of use in them, but one of them sticks out to column Z, so it will frustrate your attempts to format the spreadsheet. The third column, titled "Reading Quality," is almost always empty. So all you care about are the first 2 columns. The first one shows the hour during which electricity was drawn or sent back. The first row is midnight to 1:00 am of the date referred to in that row. The last row is 11:00 pm on that same day to midnight (which is really between 2 days), but will be shown with the next day's date. The figures in column 2 are electricity in kWh. If positive, that means you drew that many kWh from the grid during that hourly period. If negative, it means you sent back that many kWh to the grid during that hourly period. It is not how much electricity your PV system produced or how much your household consumed during that hour. Please see Breakdown of Your "Usage" & "Net Generation" on the SCE Bill Help for Solar Owners page for an explanation of this peculiarity. ​If you combine these hourly figures with the hourly production figures supplied by your PV system's monitor, you can calculate your actual consumption by simply adding SCE's net figure to your monitor's production figure for that hour. The monitor's data can also be downloaded to a spreadsheet, so these can easily be combined. One more word of caution. My Green Button Data always messes up twice a year when we change from Daylight Savings time to Regular Time. It puts in an extra hour in one case and leaves out an extra hour in the other, both usually at 2:00 am to 3:00 am. Go figure. The Usage tab above the 3 panels on the My Accounts page offers 4 choices to display your "usage" (net of drawn and sent, really). Monthly trend is monthly, showing the last 12 billing periods (SCE calls them "months") as well as this billing period 1, 2, and 3 years ago. All the other tabs in this section are duplicates. Each tab offers data by Time of Use period (on-peak, off-peak, super-off-peak) or total. You can move from a monthly display to a daily display by clicking on the underlined month under the graph. Similarly, you can move from a daily display to hourly for that day by clicking on the date under the graph. You can download any of these graphs to view in your browser by clicking Download in the upper right-hand corner and selecting HTML, or import to your spreadsheet program by selecting Spreadsheet. You can also print them by clicking the Print button next to the Download button. All this would be very handy if we could count on the accuracy of this data, but we can't. The data for this section of the website is gathered and stored differently than the data in the My Green Button Data section, and only the latter can be relied upon. The data actually comes into these repositories from 5 different sources within SCE and is amalgamated and calculated upon receipt. It's a miracle that it works at all. So my recommendation is to bypass the Usage tab entirely and head to My Green Button Data, download the data into your spreadsheet, and do your own calculations and analyses there. It's a bit of work, but at least it's accurate. In the near future, I hope to offer a tool on this website to make all this easier to do for solar owners who are customers of SCE. ​In very small type in the footer of all SCE website pages are links to important other sections of the site. One is the sitemap, which isn't really very helpful. But the important one is Regulatory. That is the section where you'll find all the real information about rates, schedules, net metering, incentives, how it all works, and so on. Not that it makes for clear or easy reading, but at least you know where it is.